This original pattern is influenced by the "Modern" quilt movement growing throughout the country. 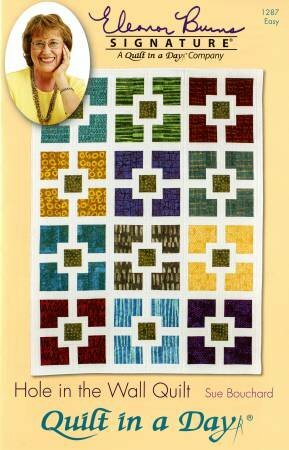 This is a great pattern to feature your favorite coordinating Fat Quarters. Instructions work for directional as well as overall prints. This quilt uses 13 fat quarters.